Zar Amrolia, one of the paramount architects of Deutsche Bank’s forex and fixed-income operations, has relinquished his role as the Co-Head of Debt and Currency trading to pioneer technology developments at the bank. 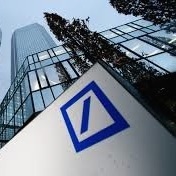 The regulatory pressure on Deutsche Bank’s trading operations, having been in the crosshairs of several probes over the past year alleging FX manipulation, likely instigated the impetus behind the move. In a bid to help improve its IT systems, Deutsche Bank has decided to restructure and revamp its existing infrastructure to foster greater transparency. Mr. Amrolia will be assuming a new leadership role in the development of digital technology at Deutsche Bank – replacing him will be Richard Herman, the New York-based co-Head of Fixed Income and Currencies. Both men have been instrumental in driving Deutsche Bank’s global business across both fixed income and currency trading – a recent industry benchmark found that Deutsche Bank only trails Citibank in currency trading volumes.